The real Café Grumpy opened in Brooklyn in 2005. Manager Ray Ploshansky runs Café Grumpy, a quaint coffeehouse on the corner of a quiet Greenpoint street, while a pretty unreliable barista, Hannah Horvath, serves up lattes on the off chance she's not dealing with life-ending drama -- wait, that's just on the HBO show "Girls." The real Café Grumpy, run by owner Caroline Bell, opened in Brooklyn in 2005. 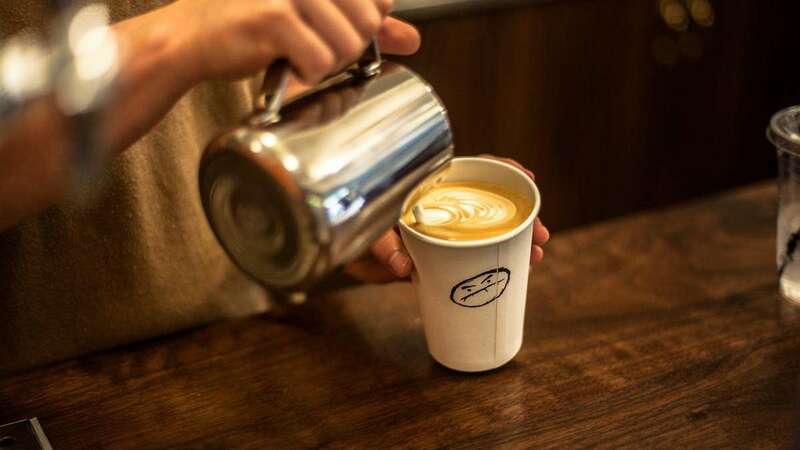 With the help of some coffee-addicted New Yorkers and cameos on a few hit television shows, the cafe now has seven locations throughout NYC and its own roastery. "The space and menu have transformed many times," Bell said of the popular Greenpoint location. "It's growing with the changing neighborhood." Below, we spill all of the cafe's secrets that Bell shared with us -- the "Girls" backstory and all. Why is the coffee so grumpy? Well, it's not ... but you are before your first cup. That's the main back story behind the cafe's cranky moniker, Bell said. Another explanation: "It was a sarcastic reaction to an experience I had while in a coffee shop a long time ago. ... I said, 'this place is making me grumpy,'" Bell said. Sure, it would be awesome to say that Lena Dunham (who plays Hannah Horvath) and Alex Karpovsky (who plays Ray Ploshansky) on HBO's "Girls" really worked at a Café Grumpy before starring in the show. Or that it was their go-to spot. But the reality of how the cafe ended up on the show isn't quite so dramatic. Broadway Stages, a production studio where "Royal Pains," "Blue Bloods" and the "Good Wife" are taped, is located right across the street from the cafe at 196 Diamond St. 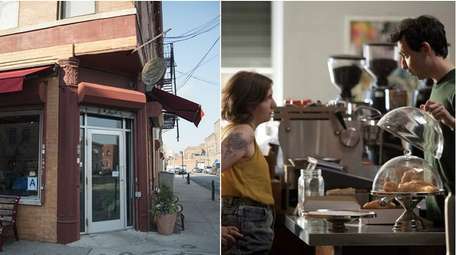 While "Girls" films at Silvercup Studios in Long Island City, scouts for the show were clued into the coffeehouse by word of mouth thanks to its key location. Filming crews and cast members will often drop by to grab a cup of coffee, Bell said. So, when "a location scout came in and asked if they could rent the space," it wasn't a complete shock, she said. As simple as this secret may sound, you probably overlooked it. The recognizable logo for the cafe is just a frowning face, right? Wrong. It's actually a coffee bean. The center crease found on the beans created the perfect canvas, Bell said. Add two eyes and scorning eyebrows and you have the logo. It was created by her brother Andrew Bell, the graphic designer behind Brooklyn-based brand Dead Zebra. The cafe, being next to a production studio and all, has become a go-to filming location. 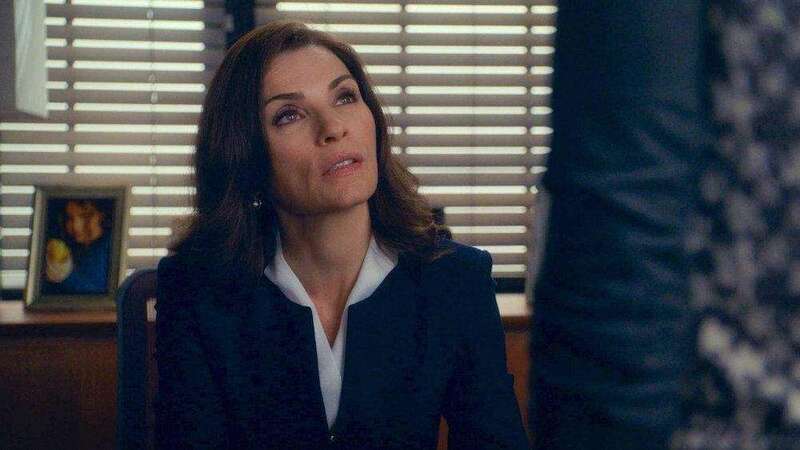 Aside from "Girls," it's been the backdrop for "Blue Bloods," "The Good Wife" (pictured), "Madam Secretary" and "Lipstick Jungle." The continuous requests to rent the space helped keep the cafe afloat in its early years and later allowed for the brand to expand, Bell said. "There have been shoots here from the beginning," she said. "We're really grateful for it. It has supported the business. The cast and crew coming in keeps us going." The Greenpoint cafe is usually transformed into an entirely different space when it's rented out for a film shoot. Even if a production crew keeps it a coffee shop, the menu boards and signs usually change, Bell said. 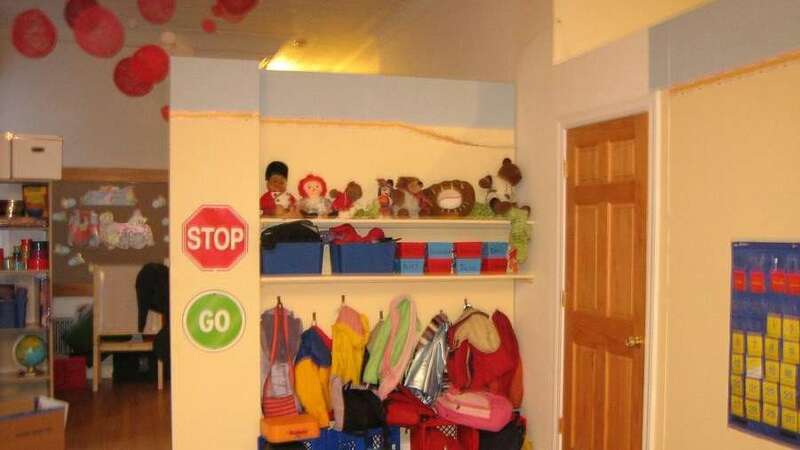 When "Lipstick Jungle," an NBC drama starring Brooke Shields, filmed at the cafe, it was transformed into a kindergarten, pictured. That's why it was such a shock to Bell and the baristas when they found out the Grumpy brand itself would be featured on "Girls," leaving the coffee shop virtually unchanged during shoots. "We didn't even realize we were going to be a character on the show," Bell said. There's not exactly a secret menu at the cafe, but there is an in-house drink special only loyal customers know about. 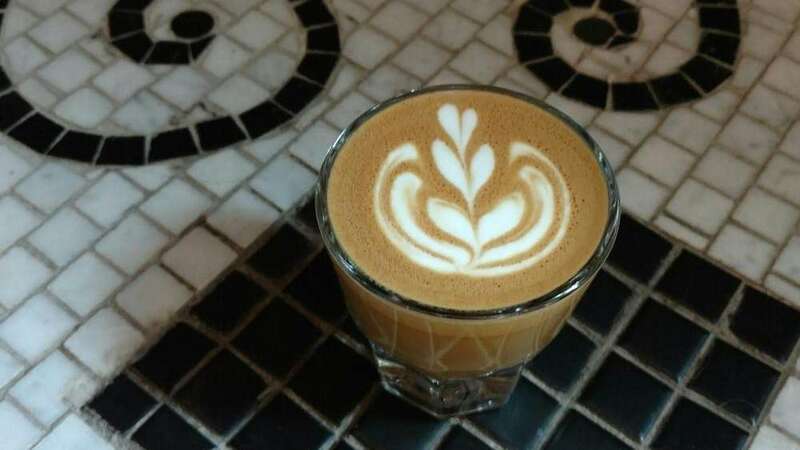 Order your coffee in a Gibraltar glass, pictured, for a smaller, not-so-hot portion, Bell said. 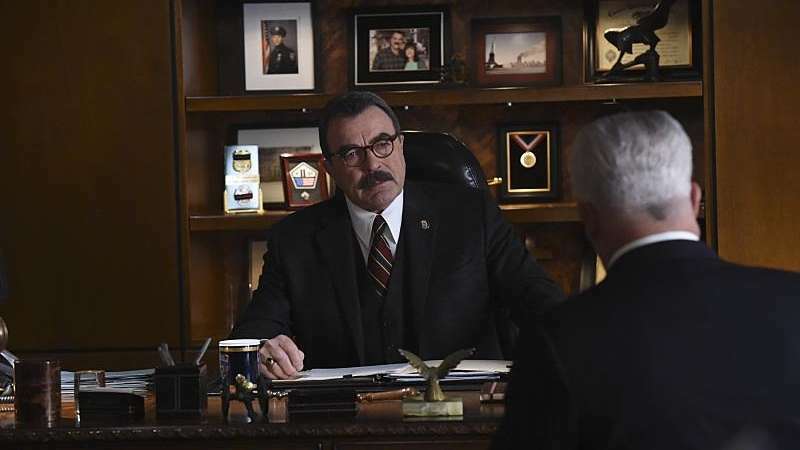 If fictional NYPD Commissioner Frank Reagan (Tom Selleck) is seated in his office in CBS' "Blue Bloods," he most likely has a fresh cup of coffee at his desk with him. He has Café Grumpy to thank for that never-ending caffeine supply. Since Reagan's office is actually located in a set across the street in Broadway Studios, production crew often run over to the cafe to fill up a carafe, Bell said. Patrons with their heads buried in laptops while they sip on lattes is the NYC coffee shop norm. While that's exactly what an afternoon at the Greenpoint location looks like, that's not a scene you'll see at other Grumpy shops. The Grand Central Terminal, Chelsea and four other locations aren't as remote-worker-friendly. Greenpoint "is the only work-based location," Bell said. That decision was made to keep seats open for customers looking for a drink in busy areas, she added. If you relax with a book in the back of the Greenpoint location, you're actually sitting near the site of the old roastery. 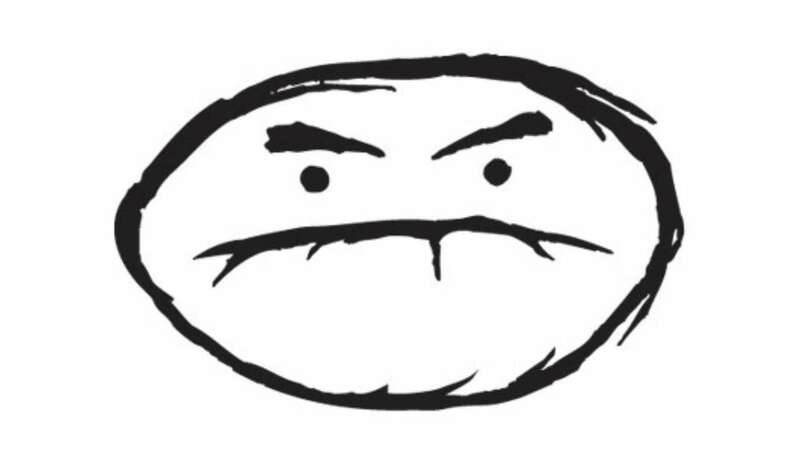 In 2009, the Grumpy team started roasting its own coffee beans there. 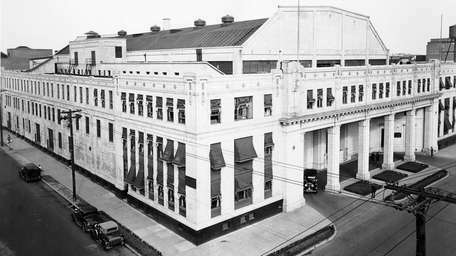 By 2014, the roastery was moved to its own building on Diamond Street, due to an increase in business, Bell said. A wall that doesn't quite reach the ceiling now separates that old roasting area from the rest of the cafe. 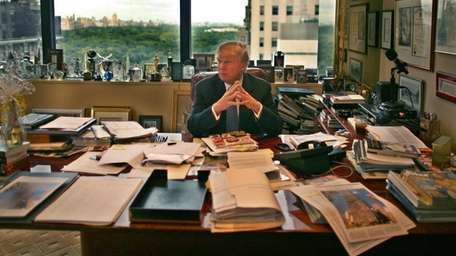 Today it's used as an office space. You tour breweries and wineries, so a peek at how your local coffee shop roastery works is the natural next move. Coffee lovers are welcome to drop by the building anytime for a tour, Bell said. Really -- all you have to do is knock on the door and one of the roasters will gladly let you in for a behind-the-scenes peek, she said. When you spot the windowless door marked with the Grumpy logo, you know you're at the right place. Or, you could check the address: 199 Diamond St.